About 199 jobs in Social Services sector. GCE 'N' Levels and above. Able to start work at short notice will be an advantage. All stages of Software Development Life Cycle of integrated solutions/systems, maintenance and implementation activities for the business applications, either existing or new, undertaken by the IT Dept or external contractors. Document business flows, functional specifications, user guides and recovery procedure. Test and verify the system, monitor the system to provide high availability and stability and assist the manager in system capacity plan. - Cloud Solutions and Mobile Applications (Ios, Android and etc.). - System interfaces/integration methodologies like APIs (REST and API libraries). - MS Windows environment application. The job-holder is responsible to ensure personalised and cost-effective care is provided by nursing staff to patients in accordance to established policies and procedures, standards of nursing care and practices. Responsible for the effective and efficient running of the ward/department assigned. Oversees the team of RN/EN, NA/HCA under his/her charge. Responsible for compliance of all nursing standards as stipulated by MOH and SNB. assurance activities to monitor and evaluate the quality and appropriateness of nursing care of the ward. Ensures quality audits are planned, conducted periodically and follow up with corrective improvements. Provides direct care to patients to ensure compliance to standards. Ensures appropriate skill mix and adequate manpower resourcing for all shifts and types of services for area under his/her purview. Guides orientation/induction programmes and preceptorship for all new staff. Prepares roster and daily staff assignment for the ward/department. Supports Head of Nursing in nursing home management and deputizes her in her absence. Works with Allied Health on preventive and rehabilitative programs for the Residents. Demonstrates awareness of current nursing and health care practices. Monitors and analyses trends and changing needs of patients in institutional settings. Carries out any other duties as assigned by the Head of Nursing. Advanced Diploma in Nursing/ Bachelor’s degree in Nursing or equivalent. Min 2 years of experience as Nurse Manager. Registered with Singapore Nursing Board. Demonstrates leadership ability and management skills. Possesses good inter-personal and supervisory skill. Assesses, develop, implements and evaluates the nursing and social care of clients in the client’s home. Participates orientation, guidance and mentoring to new staff and those with less experience to ensure delivery of quality care at all times. Assists the doctor and nursing staff during treatment and examination of the client. Records informative, accurate and concise statements on the nursing care rendered and other matters pertaining to client. Provides training on the activities of daily living and health teaching to nursing and care staff, clients, client’s family and the community. Leads a team of nursing and care staff to give co-ordinated and purposeful care to meet the rehabilitative, treatment and social needs of clients assigned. Carries out treatment and procedures prescribed for client according to expected standards of practice and guidelines. Performs clinical assessments and procedures to detect, manage and meet client’s physical, medical and psychosocial needs with respect to his autonomy and independence. Attends continuing education/ in-services on a regular basis to maintain skill competency. Participates in discussions using evidence based nursing knowledge practices to change outdated practices and improve the delivery of client care. Graduate of a Nursing Diploma/Degree recognised by Singapore Nursing Board. At least 2 years or more of nursing experience in an acute care hospital. State Registered Nurse and has a valid SNB license. Attuned to client’s needs, safety and well-being. Independent, resourceful and able to perform under pressure. Willing to travel to clients' homes. Interested candidates, please indicate your last drawn/current salary and expected salary in your CV. We regret that only shortlisted candidates will be notified. Thank you. Advises countries, regions and Practices and focal points to ensure all communications reflect WWF's brand expression and help position WWF as the most credible conservation organisation. Works with the Head of Brand to ensure WWF's DNA, visual and verbal identity are relevant to a fast-moving external environment. Keeps the One WWF brand portal (in visual and verbal identity) up-to-date and useful for the community of communicators. manages multi-country partnerships that increase visibility and engagement for WWF and Earth Hour. Run brand inductions for countries, regions and Practices on a regular basis. Stay abreast of emerging and developing trends in brands and communications and identify opportunities. Support NOs, POs and Practices in implementing the brand strategy and ensuring all communications reflect the brand positioning for both WWF and Earth Hour. Manage and develop international relationships with external partners and agencies. Develop and manage multi-country campaigns that increase visibility and engagement. Gather, assess and share marketing efforts from NOs, POs and Practices for the benefit of the region and the wider WWF Network (shared through One WWF / Workplace). Work closely with the digital team to build and understand holistic insights (both online and offline) of the WWF brand globally and locally. At least seven year’s experience brand strategy, advertising, digital media (online and mobile) or more general communications. Experience or working in an international environment. Proven success in developing and executing innovative and highly leveraged brand and marketing strategies, including direct senior level experience in branding and communications. ●Excellent written and verbal communication skills with perfect command of English; Fluency in other languages that are widely used at an international level is a distinct advantage. ●Demonstrated leadership ability to foster the integration of diverse, multi-disciplinary actors into focused initiatives addressing clear targets. ●Superlative diplomatic and communication skills, including an ability to work and communicate effectively with a broad spectrum of individuals (country representatives, NGO partners, WWF staff), within a broad range of cultural environments. ●Ability to work with a diverse range of digital assets including WWF’s CMS. ●Detail oriented, customer focused and ability to manage different tasks simultaneously; Creative and flexible; Good team-player; Work well in a multicultural international setting. 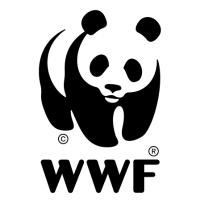 ●Adhere to WWF's brand values: Knowledgeable, Optimistic, Determined and Engaging. Internal – Interacts frequently with all members (junior to senior) of the Communications Community in the WWF network, as well as other departments at WWF International and local offices (NOs and POs) and Practices. External – Brand extension agencies; communications agencies, design and digital agencies, market researchers. As the apex business chamber, Singapore Business Federation was set up to better organize and represent the Singapore business community and to champion its interests in trade, investment and industrial relations in Singapore and internationally; and act as the bridge between businesses and Government. for the members through the various outreach channels and with/through the TAC Alliance partners. Interested applicants, please submit a detailed resume stating your notice period; current & expected salaries. On 1 January 2018, SBF re-positioned itself as the apex business platform that will work closely with stakeholders to promote the growth and vibrancy of the Singapore business community. A key part of the re-positioning is the deepening of our research capabilities to support our advocacy efforts. Propose, drive and conduct in-depth surveys and studies of local and international business and economic issues, developments and opportunities with a view of coming up with recommendations that will have a major impact on the business community in Singapore. This may involve conducting focus group discussions where relevant. Organise and analyse intelligence (i.e. 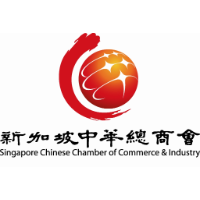 information, data and research) around various business and economic issues and trends to develop meaningful insights, analysis and recommendations for the Singapore business community. Put together papers/documents and conduct presentations on the above to our management, Council, business community, government and/or other key stakeholders with the objective of soliciting feedback, facilitating buy-in and forwarding the interest of the business community in Singapore. Publish the outcomes of the relevant surveys and studies conducted to share the findings of these surveys and studies. Identify and establish collaborations with partners and key stakeholders to build up the organisation’s research capabilities. Handle any other responsibilities and duties that may be assigned to you by SBF from time to time. Degree in Economics, Business or a relevant discipline. A postgraduate qualification in the mentioned areas will be an added advantage. At least 8 years of relevant working experience in economic and/or business-related research, consultancy, strategy or policy formulation with a commercial or government organisation, think tank or academic institution. A passion for helping Singapore businesses grow. A good understanding of many industries, the local and global business and economic landscape, and our local economic policies. Excellent quantitative, analytical and numerical skills. Excellent problem solving skills with an ability to deliver under tight timelines. Excellent oral and written communication skills with the ability to express complex issues simply and logically. Possess the drive and resourcefulness to come up with innovative solutions/recommendations. Good statistical software, MS-Excel & MS-Powerpoint skills. Ability to lead a team and work well in a team. Interested applicants, please submit a detailed resume stating your notice period; current and expected salaries. Plan the calendar year of public education events eg. school/student care outreaches, library outreaches etc.